Sustainability is something many of us want more of in our lives. The question is: what is it, really, and how do you really know that the products you are buying are sustainable? When it comes to home furnishings, it is particularly easy to feel at a loss about just what it is you are buying, with many companies still not disclosing the origin of their materials, or the processes used in the manufacturing of the product. These two steps are, in a nutshell, what sustainability is: what the product is made from, and how it is made (which include where, and by whom). 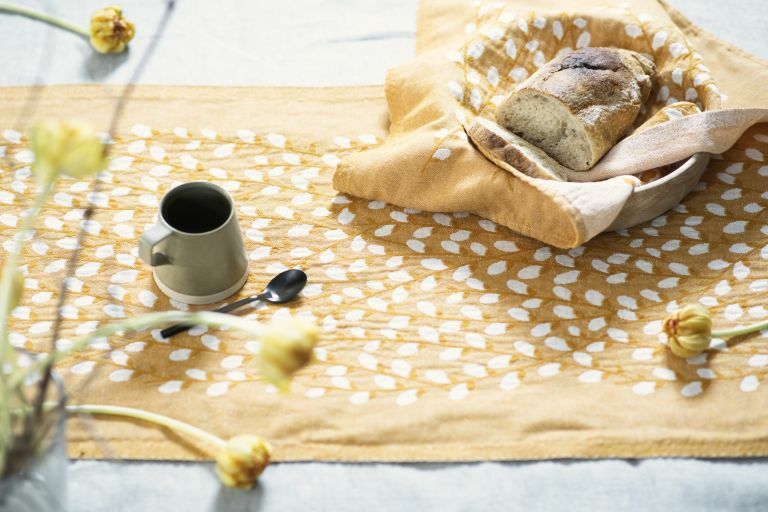 Finnish soft furnishings manufacturer Lapuan Kankurit are showing the world how it's done, with a stunning range of woven home furnishings and accessories sustainably made, mostly from linen (although they do use some cotton and wool, too). The business has been owned by the same family since 1917, and prides itself on using local labour and traditional, local manufacturing techniques. In fact, most of the products are made on site at the linen and wool mill, and any out-sourcing is kept as local as possible to a workshop in nearby Lithuania. And – Lapuan Kankurit primarily use linen as their raw material. Not only is linen a luxurious, breathable and durable yarn – perfect for bedlinen and towels, among lots of other things – but it's also a highly sustainable natural resource, with a nearly waste-free production cycle. Over 80 per cent of the world's flax is grown in Europe, and when it is harvested, all parts of the plant are used (in paper, oil, and bio-material manufacturing). The remaining root then fertilises the soil. Linen also requires no irrigation, only rainwater. Due to its climate-specific distribution, however, it's not cheap, and accounts for only about 1 per cent of all the yarns used in textile manufacturing today. The spring-summer Lapuan Kankurit collection launches in late January and will include bedlinen, towels and bathrobes, cushions and throws, kitchen linens and personal accessories such as scarves.